Regular readers will know that I am not a fan of any (‘fiat’) paper currency, as history has always shown that eventually they all devalue. The term fiat comes from the Latin for ‘let it be done’, and every fiat currency since the Romans first began the practice in the first century has ended in devaluation and eventual collapse. Although Rome didn’t actually have paper money, it provided one of the first examples of true debasement of a currency. The denarius, Rome’s coinage of the time, was, essentially, pure silver at the beginning of the first century AD. By AD 54, Emperor Nero had entered the scene, and the denarius was approximately 94 per cent silver. By around AD 100, the denarius’s silver content was down to 85 per cent. The emperors that succeeded Nero liked the idea of devaluing their currency in order to pay the bills and increase their own wealth. By 218, the denarius was down to 43 per cent silver, and in 244 Emperor Philip the Arab had the silver content dropped to 0.05 per cent. Around the time of Rome’s collapse, the denarius contained only 0.02 per cent silver and virtually nobody accepted it as a medium of exchange or a store of value. Today, all major currencies are paper-based, with governments able to print money at will. Even the historically safe Swiss Franc has been pegged to the euro. For 2012, I would say the US dollar is the least ugly currency in a beauty contest. Remember when your trading currencies that you are betting on one country against another, so if the euro is set to weaken then the US dollar will strengthen. I need not tell you the problems in the Eurozone as they have been well documented, but what I have not read much about is the demographic time bomb that is especially prevalent in southern Europe. Simply put, people living longer and families having fewer children means that the Eurozone is heavily skewed towards an ageing population, which is going to be a massive strain on governments. You also have a culture of black economies (not just in Greece but also in Italy, especially the southern half, Spain and Portugal) where avoiding taxes and getting a bill with no tax or VAT is the norm. The Eurozone problems are not going to be resolved any time soon, and while we may get some temporary relief, I cannot see any other long-term solution other than to break up the Eurozone and devalue the currency. So far, the euro has held up fairly well, but I believe 2012 will see a 15 per cent adjustment, with money flowing back to the perceived safe-haven US dollar. From the current rate of 1.35, that would see the 1.15 level reached for EUR/USD we last saw this level in 2005. You can look at a spread bet. I would go with a June 2012 bet with a relatively small bet and a larger stop to allow for short-term swings, say 1.47. Another way to back a falling euro would be a traded option. It is possible to buy a put option on the CurrencyShares Euro Trust ETF (AMEX:FXE). You could look at a 1.20 strike for December 2012, which would give you plenty of time value. With a traded option, your risk is strictly limited to the premium paid. We also have inverse exchange-traded funds (ETFx), which go up as the currency goes down, such as the ProShares UltraShort Euro (AMEX:EUO), which will move 200 per cent inverse of the daily euro moves. So to summarise, while I don’t like the US dollar long term, out of the EUR/USD I will take the side of the dollar in 2012 as money flows back to the safe haven currency and any notion that the euro is an alternative reserve currency are abandoned. 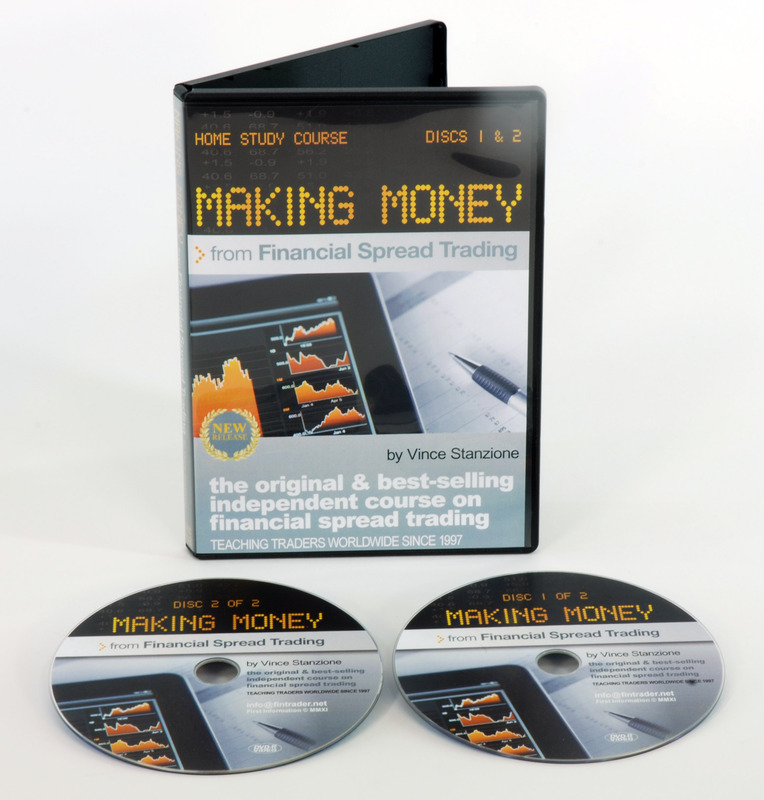 This entry was posted in Uncategorized and tagged does vinces stanzione course work?, making money from financial spread betting course, trading the euro, vince stanzione. Bookmark the permalink.